Cal Poly Pomona sophomore Christian Kelley has been named California Collegiate Athletic Association (CCAA) Baseball Player of the Week for March 9-15. Kelley, a graduate of Don Lugo, boosted the Broncos offensively with past weekend as CPP split its four-game series with Sonoma State. He batted .611 on the weekend and compiled a .722 slugging percentage after hitting 11-for-18 with two doubles. He also totaled six runs, three RBI, and a walk in his 19 total plate appearances. He recorded a hit in all four games against the Seawolves, and all of those games were multi-hit games. He has now reached base safely in five consecutive games. Defensively, Kelley was perfect with 27 putouts and one assist. The Broncos will return to action on Friday for a 3 p.m. start against the defending CCAA champions, the Chico State Wildcats, with a home series at Scolinos Field. 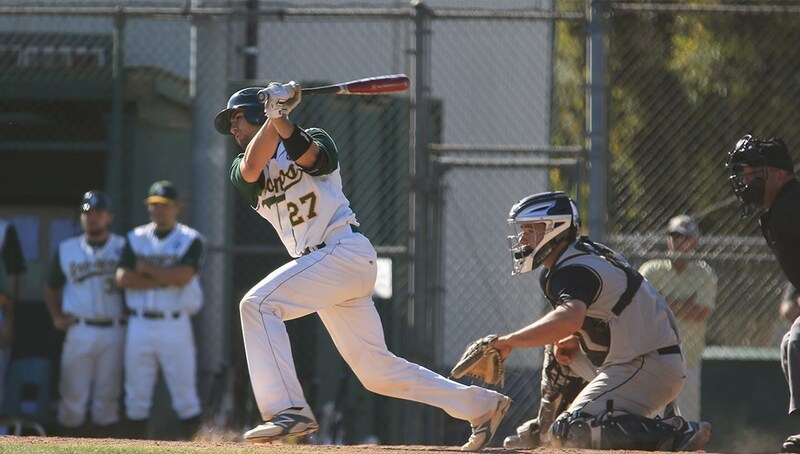 This entry was posted in Cal Poly Pomona baseball, Christian Kelly by Michelle Gardner. Bookmark the permalink.